Club Menangle is Australia's premier harness racing track and the racing precinct has everything to accommodate everyone's needs. Club Menangle offers a wide range of options for the general public right through to corporate identities, spacious lawns are family friendly and the public facilities are inviting. The Club has a children’s play area with slides and play equipment and for the adults there are two monster infield screens to show all the SKY racing action from around the world. There are over 130 race meets each year so there is always a date for you and your friends to enjoy the harness racing action. 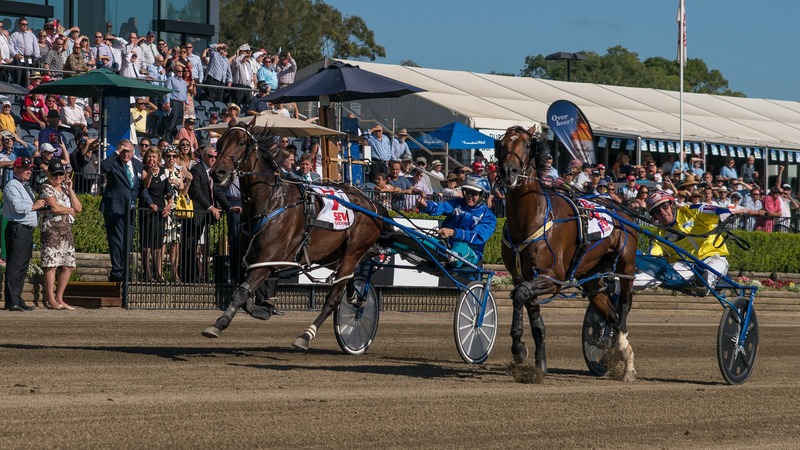 Feature Carnivals culminate in the flagship Miracle Mile which is the ultimate speed and strength test for pacers and the New South Wales Breeders Challenge Family Fun Day featuring the cream of the NSW juvenile talent in June each year. More than just a racetrack, Club Menangle is the perfect venue for your next function or your special day. Heritage Walk – A Stroll through St Peter’s. OK Democracy, We Need to Talk. Easter Family Fun Day Weekend.